Our mission is to provide all outdoor activities and sports enthusiasts to wear great and professional sports glasses. We maintain high standards to the design and test of our products. No matter jogging, mountain climbing, hiking, long-distance riding, or a golf for holiday, water sports, it’s believed that AD are able to meet your needs and give better performance while you are doing exercise. The optical central point of general sunglasses with spherical lenses is in the middle, so the lenses are only applicable to the flat arc of sunglasses (6 curve base). The focal length in the middle and the better optic degrees make it easy to pass inspection. But sports glasses are designed with more bended curvature of the front frame (8-10 curve base) so the lenses with the same focal length of 6 curve base will cause dizziness and increase myopia due to eyes’ visible range differences. The eccentric lenses used on sports glasses shift the optical point closer to the nose from the original so when cutting their lenses, they need to have more technique to adjust the focal point and focal length to meet the optical test. 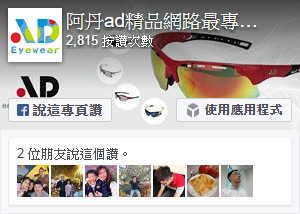 Thus, the lenses used on AD sports glasses must be PC eccentric ones, just like we have to focus on the optical point, line and surface for the optical glasses. Almost all the sports sunglasses now in the market use PC lens material since the advent of PC and rarely use acrylic lens. The benefits of using PC material is made ​​less brittle and explosion-proof. 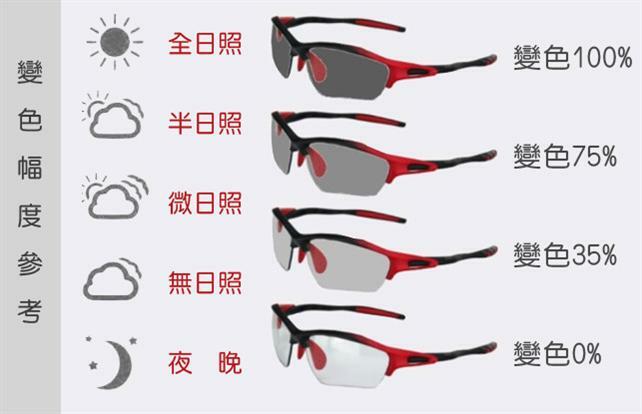 Many sports glasses are tested in the survival game with an air gun or even a standard shotgun to claim their explosion-proof effect. In fact, lenses with PC material can stand such a gun attack in such distance. It is not special. But in that case, why do some brands are so expensive? In fact, there is no technical difficulty in making PC lens. The real value lies in the effect of spherical optical performance. To wear optical-grade lenses will make you not stun, the target clear and focal length correct. This is the basic requirement for high quality sports lenses. Use best optical level1 lenses with superior optical quality, clear and high-definition vision and better long-term stability. Basic UV400 substrate strengthening treatment provides the best protection for your eyes when engaged in outdoor sports. Remarks: Optical level is the degrees for lenses positive or negative. Level 1 will affect the degree of plus or minus 0.09 degrees. Level 2 will affect the lenses of plus or minus 0.12 degrees. So Level1 is better than level2. Also known as transparent steel, with six properties of lightweight, heat-resistance, high optical clarity, impact resistance, UV cut and low birefringence, can effectively block UV, UV100% resistance.PC lenses are very light, only 1.2/cm³ of the proportion similar to the water density. Due to its being so slim, it has very high transmittance in the relative low refractive index. It reaches the international standards of impact to grade 2H-4, higher the average 10-12 times than resin sheet and 60 times than glass. Its safety impact-resistance is good to use in professional sports glasses. It has the advantages of high transparency, high brightness, and ease of machining, etc.. Its transmission rate reaches to 92% and melting point is up to about 130-140 ° C, durable to use and good for maintenance. Processing effectively block UV, UV100% resistance. Strength is less than PC, and good for use in general leisure sunglasses. It is composed of a layer of thin film​​, which contains vertical line structures so that only the vertical light can pass through, thus it can effectively reduce glare, solve the problem of scattered light, and also reduce eye visual fatigue, increase vision comfort. The function of polarized lens is effectively to exclude and filter scattering light. So that light can be on the right track for the transmission axis of the eye into visual images and make vision clear and nature. In leisure time, more ultraviolet radiation is effectively blocked, so you can enjoy the rare leisure time. High-tech evolutionary lenses show more powerful PC function, impact-resistant safety and ultra high secure. Besides, the lenses change colors automatically according to the strength of sun (UV) radiation, such as transparent into dark gray, light bronze to dark gray, yellow into dark bronze, etc. within about 10 seconds. They are the fastest color-changing lenses in the current market. The unique patented lenses with color-changing function, whether conducted intense sports or leisure, are still able to maintain a clear transmission in dark environment. And there is no need to worry about unexpected shocks to cause the lens broken and injuries, so better safety is greatly improved. Faster, Lighter and Stronger. PC Polarized Lens use optical PC raw material and injected with Polarized film into mould to form. Optically correct, can meet Class 1.